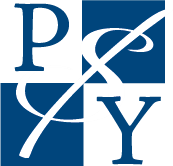 At Peter Yurkowski, CPA, LLC, we believe in service beyond expectation, achieved through a constant desire to anticipate and fulfill the evolving needs of our clients in all areas of Wealth Management. Our experience and expertise adds value at each step in the process. We are dedicated to pushing the limits of excellence, to stand at the forefront of providing the most comprehensive services available. Peter’s affiliation with H.D. Vest Investment Services and H.D. Vest Advisory Services provides us with state-of-the-art, real-time technology, back office support systems, comprehensive research, due diligence, and an exceptional array of highly competitive, non-proprietary financial alternatives, securities and services.